I was there at about 12.30 pm for lunch, the Stack Burger ($7.00) and Portobello Burger ($4.00) were not available. I was the only customer at that time. 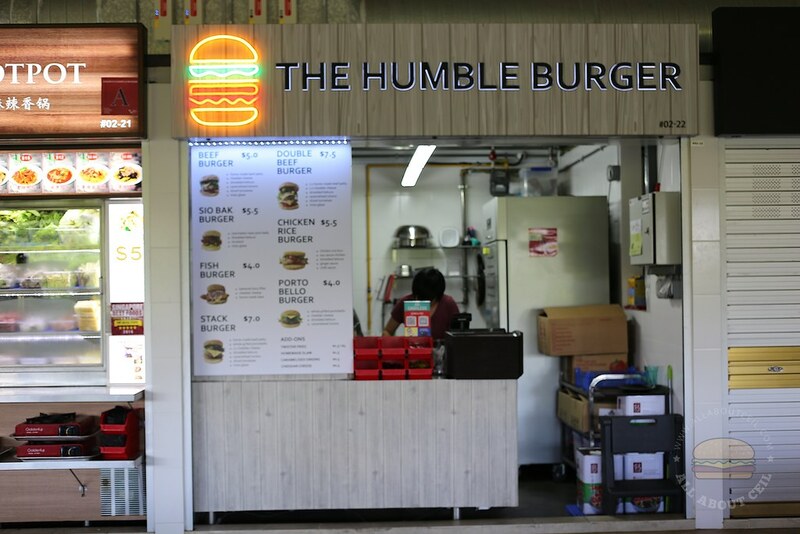 The remaining options are Beef Burger ($5.00), Double Beef Burger ($7.50), Sio Bak Burger ($5.50), Chicken Rice Burger ($5.50) and Fish Burger ($4.00). 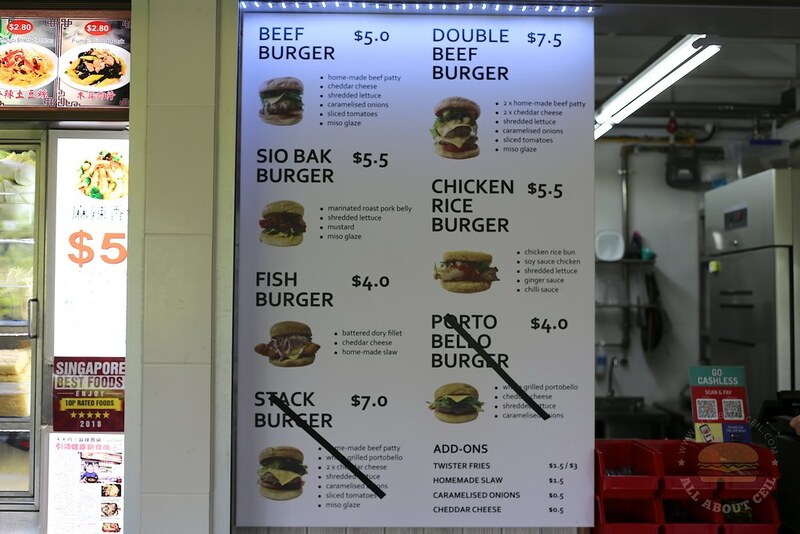 I decided to go with the Sio Bak Burger ($5.50) and I was asked whether to go along with twister fries which I agreed. I went with the smaller portion at $1.50, there is a larger portion at $3.00. I was asked to come back in 5 minutes to collect it after paying up. 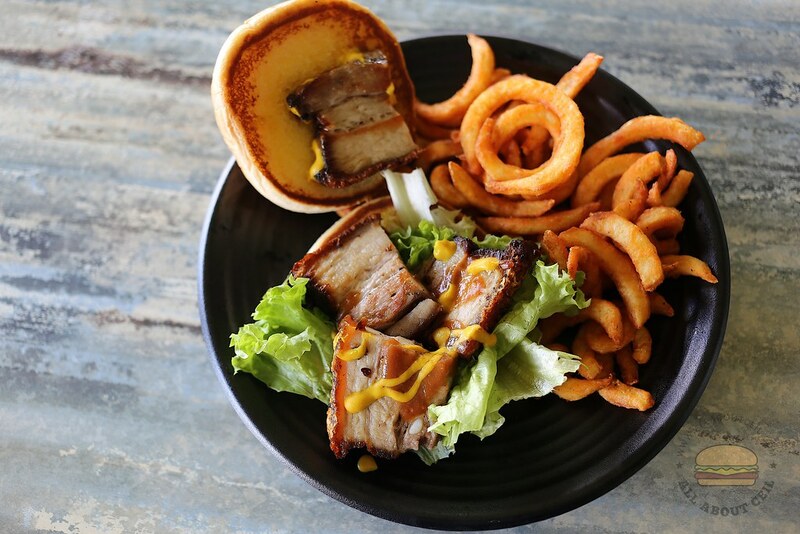 It consists of 4 pieces of thickly sliced sio bak with mustard and miso dressings as well as lettuce and sandwiched between the toasted buns. I guess I must have waited for too long as those slices of sio bak were no longer crispy. It was slightly tough and a bit too chewy, it did not have the saltiness that a good sio bak would be expected to have. My dining companion commented that it did not have much flavor. 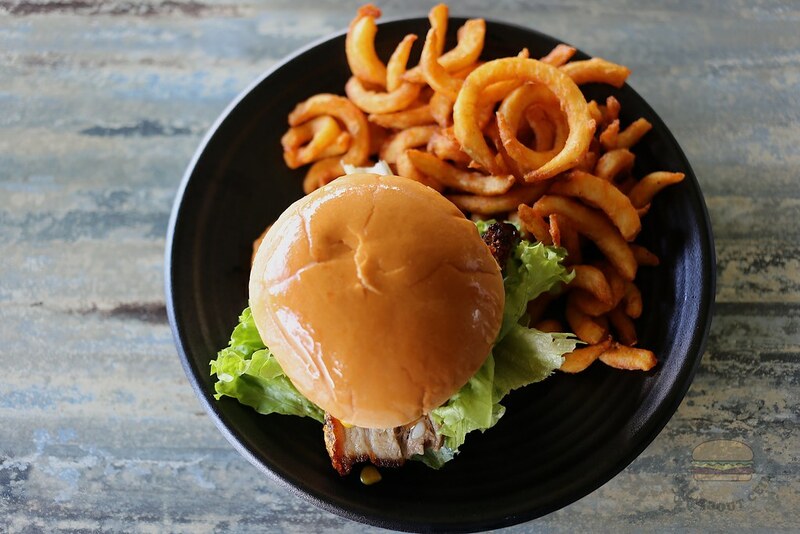 This somewhat reminded me a similar burger served by Hambaobao at Beauty World Food Centre, which is tastier in comparison. 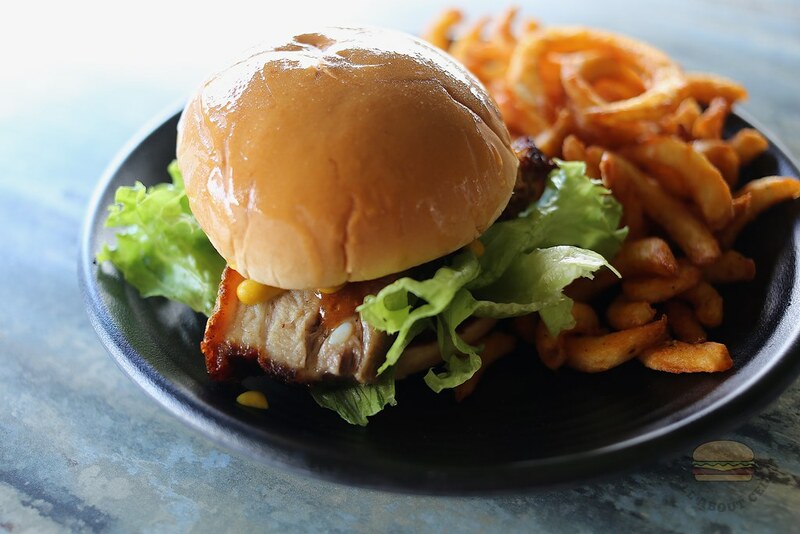 I must just come back for their Chicken Rice Burger someday.